Far West Coast Aboriginal Corporation (FWCAC) has won its second award in two months. 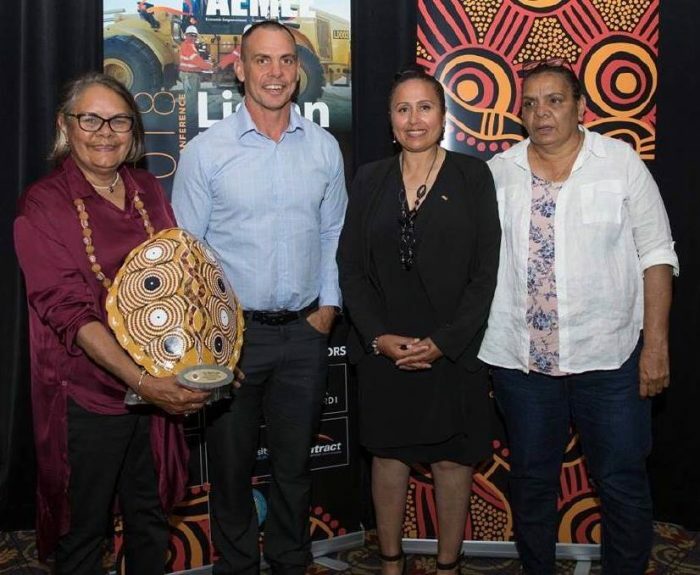 FWCAC’s enterprise arm, Far West Coast Investments has won the Aboriginal Enterprises in Mining, Energy and Exploration (AEMEE) 2018 Resource Sector Business of the Year which highlights the success of Indigenous businesses that service and support the resource sector in Australia. Far West Coast Investments board members Sandra Miller, April Lawrie and Emily Ware with AEMEE chair Derick Flucker. Another achievement was The Premier’s Awards in Energy and Mining, Excellence in Diversity award for the ‘Jacinth-Ambrosia – Diversity in Action – Partnerships with Far West Coast and Iluka Resources’ project. The award recognises FWCAC’s working relationship with Iluka Resources and how the resources sector can partner with local communities to deliver positive socio-economi outcomes. Regional Development Australia Whyalla and Eyre Peninsula congratulates the Far West Coast Aboriginal Corporation for these and many other achievements.